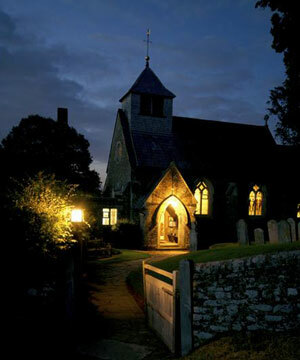 Hambledon church is a warm and thriving church at the heart of Hambledon village with a friendly congregation of all ages. We are linked to Busbridge church and between us we offer a whole range of resources, activities and services. We are a Church of England church. We are renowned for our warm welcome to anyone. Above all we seek to be a community that knows and loves Jesus and shares his love with those around us. Where are we? You will find us at the top of Church Lane, off Rock Hill. We run two services every Sunday morning, equal in size and with the same teaching programme, but different in style. 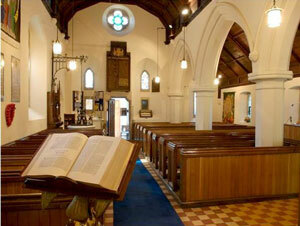 Our ‘heritage congregation’ is at 9.00am. You’ll find hearty hymn singing, a good sermon and a familiar structure using the Book of Common Prayer. Our ‘contemporary congregation’ is at 10.30am. This is deliberately informal and relaxed. It is a service where we offer baptisms and have groups for children.The music is led by guitars and keyboard. On a regular basis we hold Messy Church services, either at 10:30am at the church, or in the afternoon at a venue such as the Village Hall. These services are fun and informal and include a range of crafts and activities (and often food!). Check out the church website for more details of these services and contact the church office (01483 421267) if you would like to be added to the mailing list to receive updates on dates and venues. Children of all ages are welcome at any of our services. During our 10.30am services in term-time we run a group for the children – the aim of these is for the children to have fun learning what it means to follow Jesus. Check out the church website for more information on groups for teenagers at Busbridge Church. We have a number of home groups that meet midweek to share together, pray, laugh, read the Bible and deepen our relationships with each other and with God. We also have many social gatherings such as lunches and suppers, monthly prayer meetings and annual weekends away together. For a visit from a member of our Pastoral Team please contact the church office, details below. 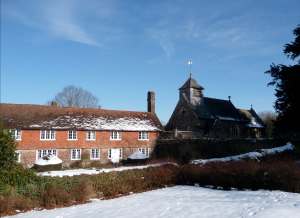 We’re are a United Benefice, comprising Hambledon and Busbridge Church. We very much consider ourselves one church family, even though we meet at different places on a Sunday. Our Rector for both churches is the Revd Simon Taylor. Simon and his family arrived here from Crawley in October 2010. Catherine McBride became Associate Vicar for the benefice in May 2012. She moved on to a new parish in Shropshire in 2017 and an appointment to replace her is awaited. Our leadership at St Peter’s includes David Jenkins, who shares in the teaching and service leading, and our Wardens Liz Cooke and Alan Harvey and our Assistant Warden David Chadwick. All enquiries should be directed to the Administration Team at Busbridge and Hambledon Church Office, Brighton Road, Godalming. ( church.office@busbridgechurch.org) Tel: 01483 421267 Karen or Liz will be glad to answer your questions.